Last week, the Maryland Court of Special Appeals decided Logan v. LSP Marketing, a lead paint case in Baltimore City. In this case, Plaintiff did not answer discovery. Defense lawyers, who I believe were the Leder Law Group in D.C., filed a motion to compel. 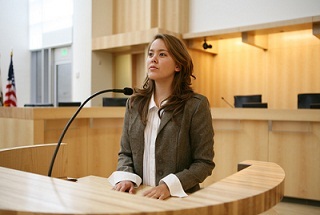 In what is regrettably a common practice in Maryland, the motion to compel got Plaintiff to answer the discovery and their response was “hey, this is moot, we answered now.” Defendant’s counsel, to their credit, wrote a reply saying the answers were insufficient in part because Plaintiff wrote garden variety broad designations of experts. The motion was granted but a more detailed expert designation never came. So before trial, Defendant sought to strike the experts. Baltimore City Judge Kaye A. Allison struck Plaintiff’s experts from testifying at trial. When the case went to trial, Judge John P. Miller denied the motion to reconsider Judge Allison’s motion. Which left Plaintiff with no case and Judge Miller granted Defendant’s motion for summary judgment. Normally, insufficient expert responses don’t lead to such severe sanctions because Food Lion v. McNeill tells us that personal injury lawyers in Maryland are not permitted to sandbag the opposing party with discovery deficiencies that can be easily remedied. So when it comes up at trial, the judge says, “Well, you should have filed a motion.” Here, Defendant’s lawyers did file a motion and it killed Plaintiff’s case. One big issue in the opinion is the question of whether the court has to grant a motion that is practically but not technically dispositive of the case. The court said a hearing is required only in cases that are dispositive, not for all intents and purposes dispositive as is the case here. Personally, I think it is much ado about nothing. If the trial court gets reversed on appeal on this, I find it unlikely the Court is going to change their tune after a hearing. Although, actually, this happened to me once. I got summary judgment against Baltimore City and the court ruled that there should have been a hearing on the motion. The case got sent back down and the ruling was overturned. The difference? The judge who ruled in my favor had retired. This ruling does not apply to many medical malpractice cases because the expert issues have to be laid out with such specificity long before plaintiff’s lawsuit is filed. But blanket designations are a rather common practice for attorneys on both sides of the aisle and the lesson of this case is if the other lawyer holds your feet to the fire, you had better give detailed expert answers or you are going to risk having your expert’s struck.